About 400,000 of those furloughed in the government shutdown work at the Department of Defense, and most of them can expect to go back to work. 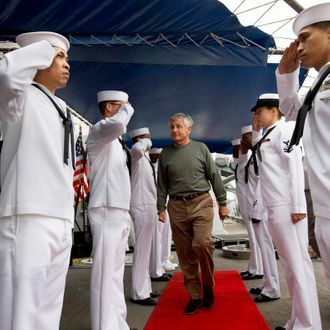 Defense Secretary Chuck Hagel cited a law called the Pay Our Military Act in announcing the plan on Saturday. While the law doesn’t give the Pentagon permission to do a wholesale recall of its workers, government lawyers decided it allowed “employees whose responsibilities contribute to the morale, well-being, capabilities and readiness of service members” to return.